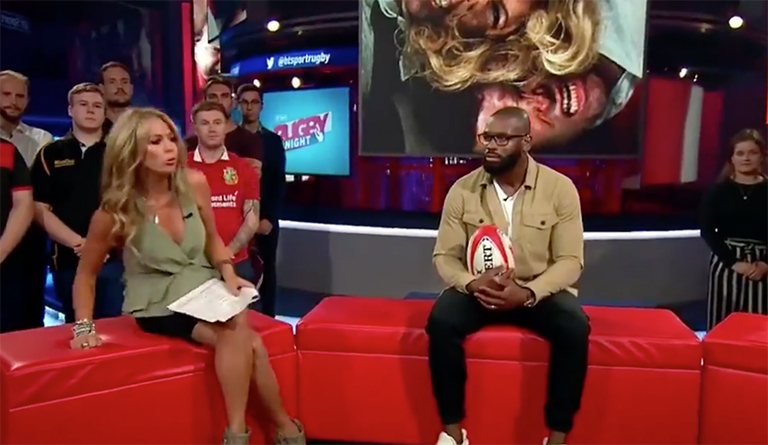 BT Sport’s Rugby Tonight made its long-awaited return last night ahead of the 2017/18 northern hemisphere rugby season. The popular broadcaster will be a must for any rugby fan this season given their stellar line-up. On top of having exclusive rights to the Champions and Challenge Cup, they will also be your home for Gallagher Premiership Rugby once again this season. They’ve even added former Lions captain Sam Warburton to their panel of hosts, on top of the old favourites. Two of those include former England internationals Ugo Monye and Ben Kay. The pair were in great form last night, with the latter popping up midway through the show with an early contender for tackle of the season…. Check it out below. Brilliant stuff from the former lock. We have a contender for big hit of the season and a ball hasn't been kicked yet!